Canada’s ‘Festival City’ Has A New Claim to Fame | Trex Commercial Products, Inc. Known as the “Gateway to the North,” there are a number of things that make the city of Edmonton, Alberta, unique: it is the northernmost North American city with a population of over one million; it is home to North America’s largest mall (was the world’s largest until 2004) and the world’s highest streetcar bridge; and it is the birthplace of Michael J. Fox. Now, Edmontonians can add one more bragging right: Rogers Place. This marvel of a structure, which is the new home of the Edmonton Oilers (NHL) and the Oil Kings (WHL), sports the largest hi-def scoreboard in the NHL (46’x46’x36’) and features 14,739 linear feet (or 2.79 miles/ 4.49 kilometers) of decorative railing crafted by Minneapolis-based SC Railing Company, a national leader in the design, engineering and manufacturing of ornamental railing systems for commercial building applications. Designed to seamlessly blend into the décor of the facility, the railings throughout the structure serve a triple purpose: safety, function and aesthetics. To keep fans on their feet as they traverse the bowl, they will rely on the nearly 5,000 feet of anodized aluminum and stainless steel hand railings, featuring perforated panel infills in the Loge Boxes. In the various clubs, including the Sports Net Club, the Stage End Club and the Winter Garden Overlooks and Loge Restaurant, patrons will be treated to nearly 7,000 feet of Track Rail (base shoe railing with glass infill) and stainless steel hand rails, including three elegant radius staircases featuring artful glass railing. With nearly 6,000 feet of ½-inch to ¾-inch laminated tempered glass with PVB interlayer, fans are allowed a clear view of the action. 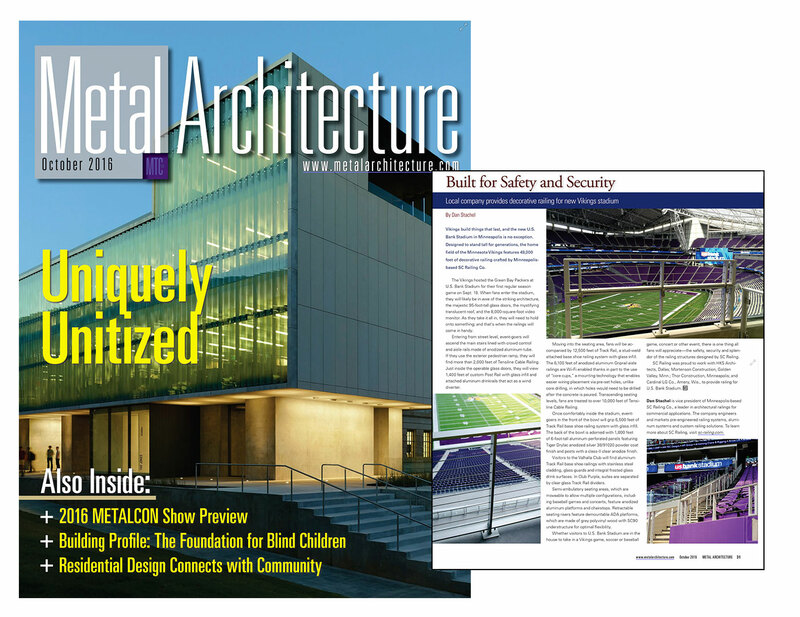 Also designed with safety in mind, the arena’s retractable seating area is secured by 612 feet of removable Lexan™ Panel Railing, made of a transparent shatter-proof polycarbonate. While Edmonton is known for its summer festivals, Edmontonions know the winter belongs to ice hockey – and when the Oilers take the ice against Calgary on October 12 for their first regular-season match, fans will see that Rogers Place is just getting warmed up. 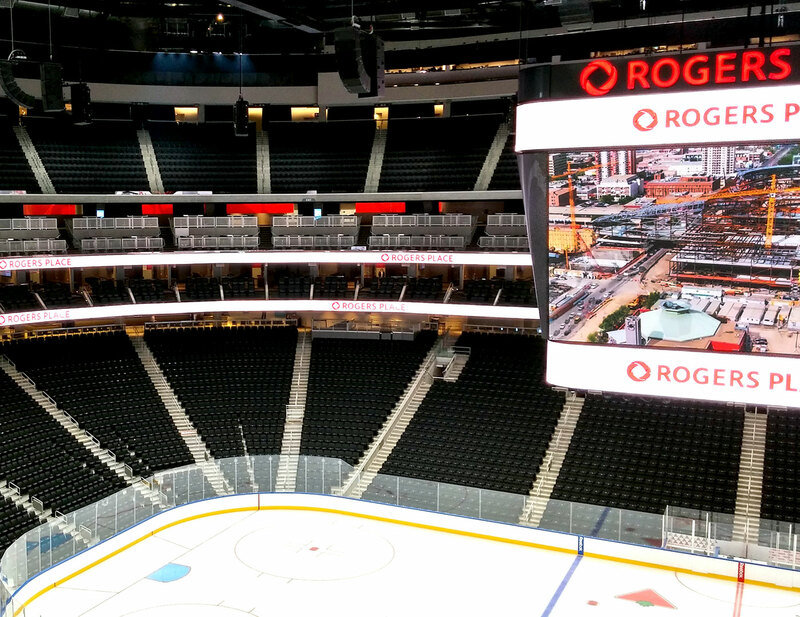 SC Railing was proud to work with 360 Architecture/HOK and PCL Construction, to provide railing for Rogers Place. Click Here for more photos of our contributions to Rogers Place! 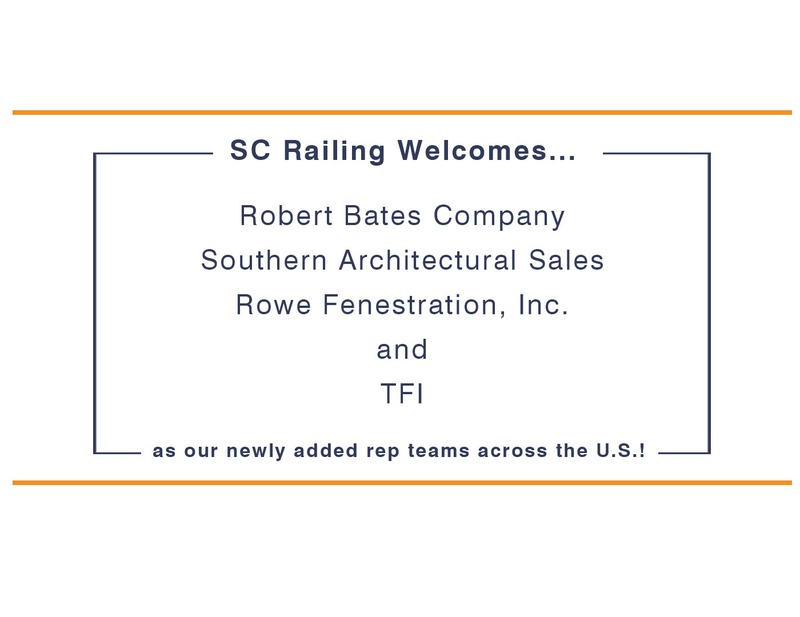 SC Railing Company Announces New Partnerships with Four Leading Manufacturing Rep Teams Across the U.S. Enter your email address to stay up to date with the latest news. © 2019 Trex Commercial Products, Inc.. All rights reserved.